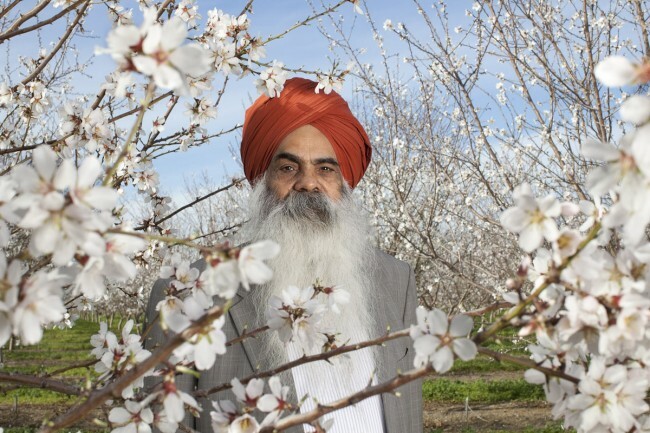 New York, Nov 17 (IANS) Didar Bains, a farmer known as the “Peach King of California”, was honored by California Governor Jerry Brown for his service to society, media reported. Brown Sunday praised Bains and thousands of other immigrants from India who he said have enriched the US with their culture and work ethic, The Sacramento Bee reported. “It’s an honor and a privilege to be here,” Brown told some 2,000 Sikhs who came from as far away as Los Angeles to the West Sacramento gurdwara. Brown talked about his own family’s immigrant history. Brown signed into law two legislative bills — Assembly Bill 1964 and Senate Bill 1540 in 2012. The 1964 bill protects workers who wear sacred turbans, hijabs and yarmulkes and 1540 bill changes how history and social sciences are taught in schools so that students learn about the history, tradition and theology of California Sikhs, the report said. Bains, who arrived in California in 1958 from Punjab at the age of 18, is now a multi-millionaire. He owns about 40,000 acres of land in Sutter, Yuba, Butte, Sacramento, Glenn and Tehema counties, said his son Karm Bains.